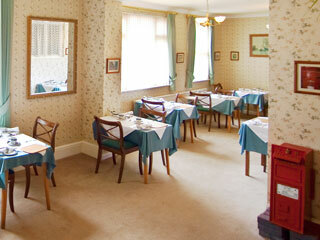 A very warm welcome to the Morven Guest House on the Jurassic Coast of Dorset. We are ideally located just 150 yards from Weymouth's beautiful Greenhill Beach and Gardens and we are just a short level walk from the Esplanade, Old Harbour, Weymouth College, and Preston Beach. Greenhill Beach is popular with swimmers and sunbathers in the summer months and Preston Beach is an excellent location for sea fishing. Morven House is also within walking distance of the two RSPB reserves at Lodmoor and Radipole. 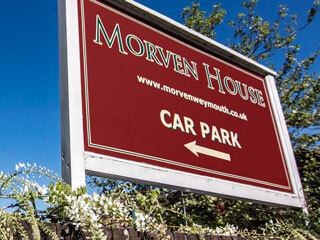 Morven House is a small family run Bed and Breakfast with nine bedrooms and ample off street car parking for all our guests in our own large car park which has constant access. We have off road parking at both the front and the rear of the building. Please enquire about our twin, double and family rooms. All our rooms are en suite and and all are totally non smoking. We have complimentary wifi. Morven House is the perfect base for exploring historic South Dorset & Thomas Hardy country and for discovering the Olympic sailing venue of Weymouth and Portland.The traditional Donkey Rides and Punch & Judy shows on Weymouth's Main Beach are approximately 15 minutes walk away and the town centre and harbourside with shops, supermarkets and eating places are about 25 minutes walk. 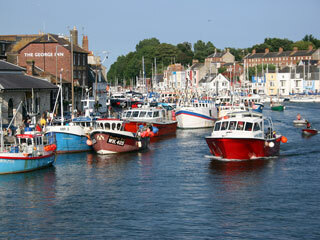 Picturesque villages such as Cerne Abbas, Briantspuddle and Abbotsbury are all within a short drive. Bridport and West Bay where the ITV series Broadchurch was filmed, may be reached by local bus services. Please see the location of Morven House which is marked on Google Maps and Google Earth or type the postcode DT47SZ in a SatNav. Morven House is seasonal and will be open from May 3rd to September 14th in 2019. 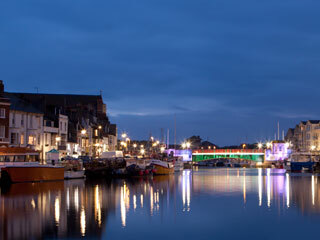 We are happy to recommend our nextdoor neighbours at the Ashmira Hotel (tel 01305786584) or the nearby Harlequin Guesthouse in Carlton Road South (tel 01305785598) if you wish to visit Weymouth sooner.